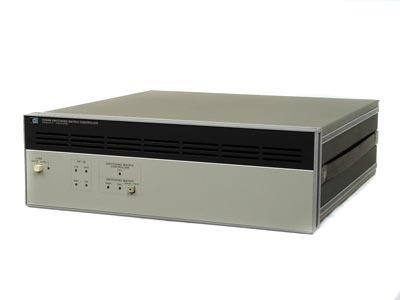 The Agilent / HP 4084A / 4084B Switching Matrix Controller is part of the 4085M Switching Matrix System and responds to commands sent from the computer over the HP-IB, controls the connections between the measurement pins of the 4084A and the stimulus/measurement units, voltage sources and voltage monitors of the 4145A. The 4084A also provides DC power to the 4085A and contains a ROM-bases 4085A relay exerciser, which can be initiated manually from the front panel of the 4084A, or under program control from the computer. The 4084B is an integral part of the 4062UX parametric tester system. BRL Test is your parametric tester headquarters.